Last week, Apple behaved more like Detroit of years past , with new fins, bells and whistles adorning their computers and software. But there was no iPhone-level breakthrough at the annual Macworld Expo. The biggest news proved just how underwhelming the whole show was. In April, the iTunes Music Store will go DRM-free, stripping file locking from the millions of songs it sells. But, as they say in the news business, the company buried the lede. 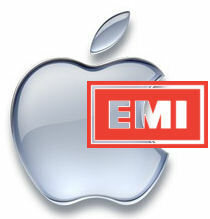 Sure, the remaining record companies followed EMI, which decrypted some of their music in 2007. But in exchange, they got variable pricing, topping out at $1.29 per song. It’s a move that Apple’s resisted for years. There’s no official word yet, but I’m betting it’s the most popular music that goes beyond the once-standard 99 cents per track. That’s just how this business does things. To paraphrase industry gadfly Bob Lefsetz, who weighed in immediately after the announcement – only gas stations are raising prices. Is it any wonder they’re bleeding red ink? Anyway, I find the whole no-DRM discussion beside the point. e-Music, with perhaps the best legal indie music catalog anywhere, has been doing it forever, and they don’t rule the world. Music from iTunes is easily bought, and (up to now, anyway) simply understood. But without the computer/iPod synergy with iTunes, it’s nothing. Besides, 90 percent of music stored on portable devices is already DRM-free, because it was ripped from CD or stolen online. Now, if an all-you-can-eat rental service went DRM-free, that would be newsworthy. I swear by Rhapsody. For 15 bucks a month, I get all the music I want when I want it. My biggest problem with this unlimited library is that I can’t play it on an iPod. Fix that little difficulty, and the iTunes Music Store will lose its cool factor in a Cupertino minute. Which is why this big move is such small beer. Anyone with an iPod gets music from Apple already. I’d love to hear how many people even care that their songs are handcuffed. However, if the next Justin Timberlake single costs 30 cents more, they may start paying attention. When that happens, I’m guessing it won’t be a good thing – for Apple or the music business. Thursday: Johnny Winter & James Montgomery, Latchis Theatre – At 17, I snuck into a bar to see the lightning-fingered Winter play blues guitar. It was mesmerizing. Though he’s frail these days (like B.B. King, he performs sitting down), the flame still burns. With harmonica genius Montgomery at his side, it should be a great evening. The event benefits the Brattleboro High School Marching Band’s trip to next Tuesday’s Presidential inauguration. They’re the only Vermont band to receive the honor. Friday: Elsa Cross, Salt hill Pub – The flood of Seacoast bands to Salt hill continues with this Americana singer-songwriter who claims Loretta Lynn’s music gave her an out of body experience, and whose own songs have been compared to a female Johnny Cash. Accompanied by Steve Roy on upright bass, and PJ Donahue of the Amorphous Band, her debut Lebanon performance should be a barn burner. Saturday: Soledad Barrio & Noche Flamenca, Hopkins Center – Spanish guitar and staccato heels feature in this centuries-old tradition, along with clapping, singing and incessant rhythm. Dancer Soledad Barrio “dances as if possessed by the spirit of a Gypsy encampment…She breathes the essence of flamenco,” according to the New York Times. After the show (which also plays Friday), there will be a question and answer session with Barrio and her husband Martin Santangelo, who directs the Madrid-based troupe. Tuesday: Inauguration Party with Dr. Burma, Whaleback Ski Area – Our new president is at the center of several events tonight, including a Skunk Hollow open mike. The Whaleback party is dubbed “Brick by Brick: A Community Building Party.” It both celebrates the events in D.C. and shines a light on work done by non-profit organizations in the community. The Upper Valley Land Trust, the Upper Valley Haven, Vital Communities, and the Upper Valley United Way are represented so far – suggested donation is five dollars. 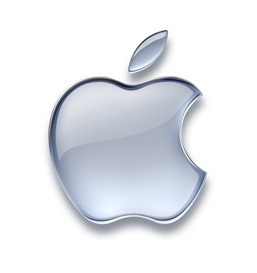 Apple Inc. has had its share of miscues of late. The deafening hype surrounding the as-yet unreleased iPhone hasn’t quieted misgivings about the company’s first foray into mobile communications: inflated price, closed architecture, single source carrier (AT&T) and questions about whether it will even ship this month as promised. The recent announcement of iTunes Plus, which promised music playable on any and all devices, is now mired in controversy. The industry blog ARS Technica reported that supposedly unprotected songs sold on the iTunes Music Store had customer information embedded in them, a move that in theory made it much easier for anti-piracy organizations like the RIAA to track them on file-trading sites. That, coupled with the fact that customers who upgraded their software to purchase premium ($1.29 each) music were no longer able to buy cheaper versions of the same songs, turned what should have been a defining Apple moment into a nasty public relations headache. Then there’s the little box that CEO Steve Jobs hoped would finally get Apple into consumer living rooms. 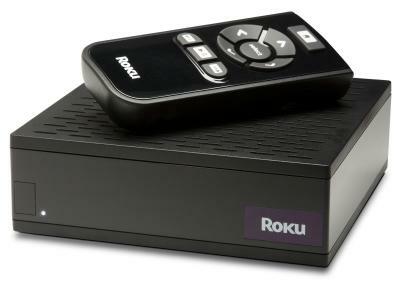 Apple TV looked good on paper – a network device that can grab a video from any computer in the house, and stream it to a television in state-of-the-art widescreen format. There was just one problem – it didn’t work with web sites, only iTunes, where episodes of most popular shows sell for $1.99 each. With no chance to watch Grey’s Anatomy on ABC.com or check out NBC’s Heroes with the occasional commercial break, Apple TV didn’t look like such a great deal. Jobs’ much-vaunted “Reality Distortion Field” was dissolving in a wave of bad press and bothered bloggers. Perhaps Apple TV’s biggest omission was failing to tap into the zeitgeist of the web’s most popular video site, YouTube. Stranger still, it seemed a perfect match. Google CEO Eric Schmidt sits on Apple’s board of directors, and Google owns YouTube. The Apple/YouTube deal is important for a couple of reasons. First, YouTube is fast becoming the preferred hub for the legal distribution of music videos. Last week, the company struck a deal with EMI, home to David Bowie, Coldplay and Norah Jones. This means that all four of the major labels are on board. Though MTV/VH1 owner Viacom’s intellectual property suit is still unresolved, Schmidt termed the action “a negotiating tactic” at the recent All Things Digital conference, hinting that an agreement wasn’t far off. Secondly, a deal with Apple means the QuickTime H.264 codec, which maintains picture resolution regardless of screen size, will become YouTube’s streaming video standard. That’s the reason Apple executive David Moody only promised “thousands of videos designed for Apple TV” at launch, not the entire YouTube library. That conversion effort will take a lot more time, though all new videos will be offered in the new format. QuickTime videos are, of course, fully compatible with both the iPhone and iPod. However, no announcements were made about making YouTube content available on those devices. The move affirms that Apple, for all its recent stumbles, still intends to be a revolutionary force in the entertainment world. As the iPod smashed the music paradigm, YouTube has re-shaped the television landscape. What started as a hybrid of low-rent “MTV Jackass” and alienated teen vanity vehicle has fast become the first on-demand video network of the Internet. Google is, of course, the most popular web site in history. These elements, combined with Apple’s well-known hardware and design capabilities, could produce a recipe that does for television what the iPod did for music.